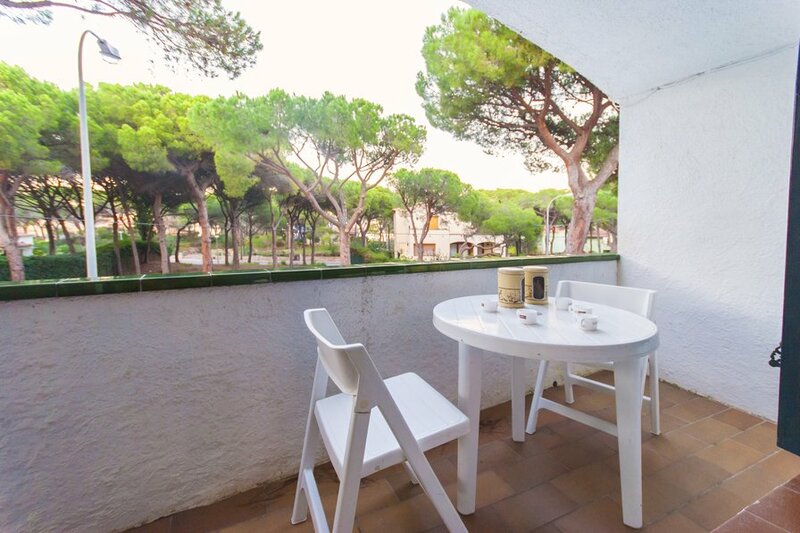 Simple apartment,located at only 150m from the beach,in Pals. Very Simple apartment 48 m2 located in Pals beach, 150 metres from the beach. With 2 double bedrooms (1 double bed, 2 single beds), a living room (fireplace), a kitchen (microwave), washing machine, a bathroom and a terrace. Downtown. Surrounded by sand dunes and over 3.5 km of sandy beach Pals, is a huge field to take a bath in the sun, relax and have fun. It stretches from the beach and the tip of Racó Espinuda from Begur to the beach from the Fonollera. In one of the stretches were the premises of the radio station Radio Liberty, where there was the well-known dishes. There are various facilities for the practice of Volleyball, Beach Bar, windsurfing courses and renting scooters. In the summer there are urban transport ranging from the Beach Village at Palos de Pals. In parallel to the beach we found the facilities of a golf course of 18 holes. Near the mouth of urbanization are Daro Mas Pinell. Remains of the Fonollera the beach that extends to the mouth of the Ter. Pals is one of the largest municipalities in the region from a variety of natural landscapes and this means that the people is one of the most curious of the Costa Brava and allows us to offer a lot of things to do.